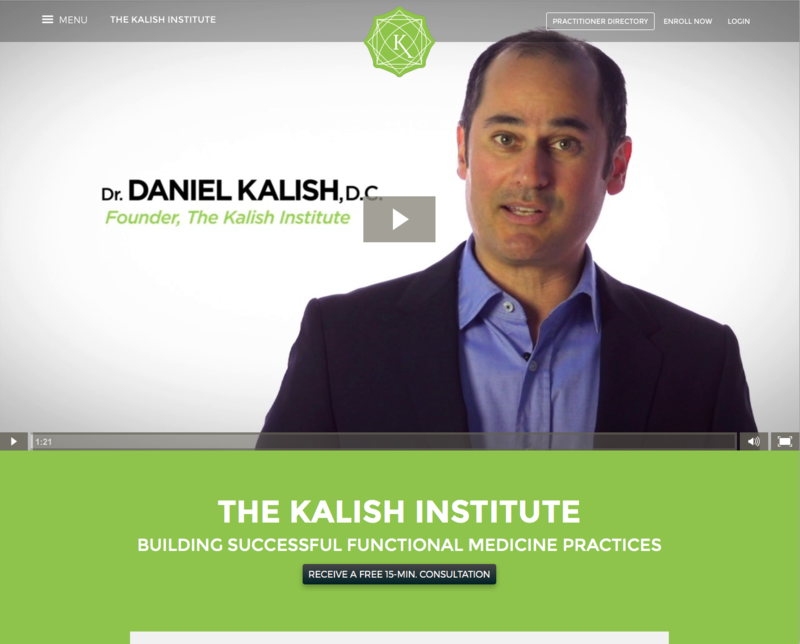 Kalish Institute is an online training company that helps practitioners with functional medicine. With the help of IMAGEHAUS, the company went through rebranding and marketing shifts. 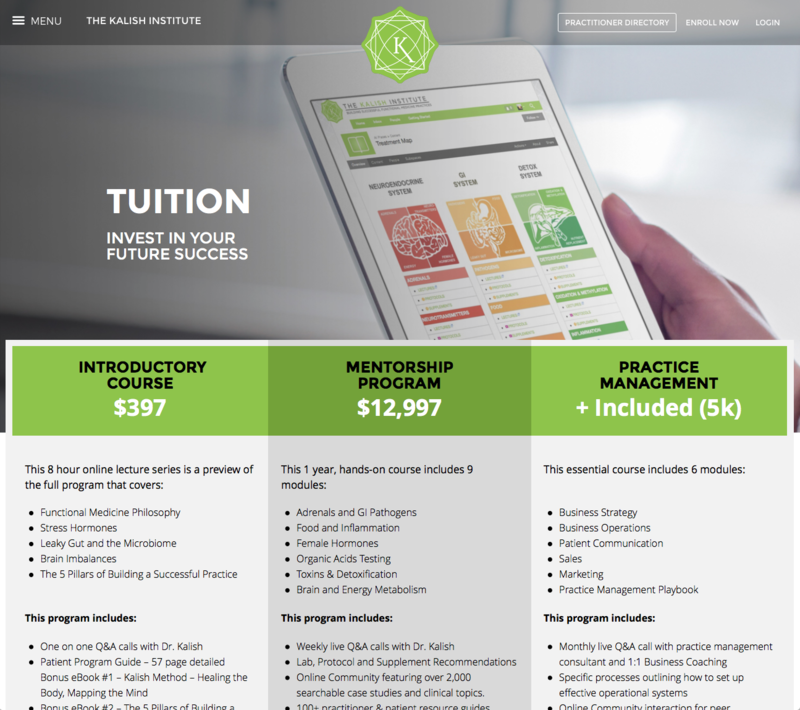 IMAGEHAUS came to us to help them bring their design to interactivity by having us create the front-end templates and integrating the design into WordPress. The design was far from a “tube of content”, with multiple sections of content, pricing tables, video lightboxes and timeline-like content scrollers.